Een globaal beeld van deze begraafplaats. 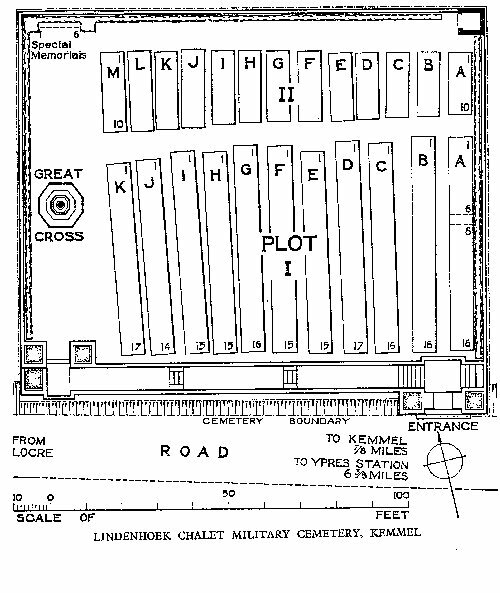 Het plan van de begraafplaats Lindenhoek Chalet Military Cemetery. 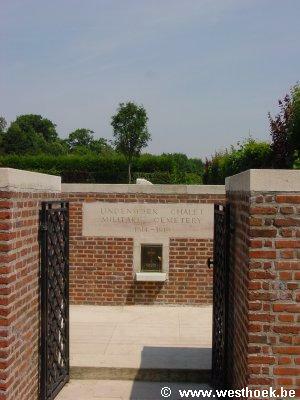 Lindenhoek Chalet Military Cemetery is located 9 Km south west of Ieper town centre on a road leading from the Kemmelseweg (N331), connecting Ieper to Kemmel. From Ieper town centre the Kemmelseweg is reached via the Rijselsestraat, through the Lille Gate (Rijselpoort) and straight on towards Armentieres (N365). 900 metres after the crossroads is the right hand turning onto the Kemmelseweg. (Made prominent by a railway level crossing). Immediately after passing the village of Kemmel lies the Gremmerslinde, a right hand turning leading from the N331. 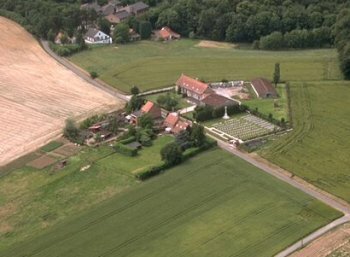 The cemetery lies 500 metres along the Gremmerslinde on the right hand side of the road. Kemmel was the scene of fierce fighting in the latter half of April, 1918, in which both British and French forces were engaged. 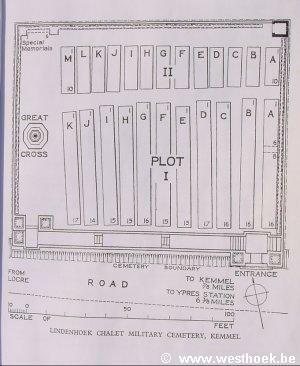 The earliest burials in the cemetery were made in March, 1915, and units and Field Ambulances continued to use it until October, 1917. 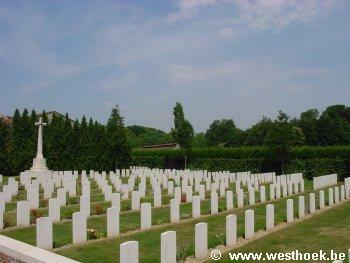 It was enlarged after the Armistice by the concentration of graves from the battlefields surrounding Kemmel. 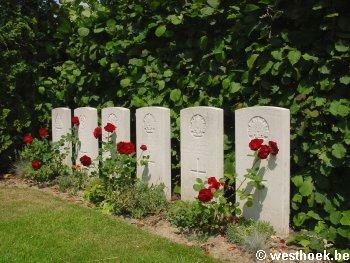 There are now over 300, 1914-18 war casaulties commemorated in this site. Of these, over one-fifth are unidentified and special memorials are erected to four soldiers from Australia and two from the United Kingdom, known or believed to be buried among them. The cemetery covers an area of 1,404 square metres and is enclosed by a brick and stone wall.